Simon completed his BSc (Hons) degree in Physiotherapy at Bournemouth University, UK. After graduation Simon started working in the NHS as a junior physiotherapist where he undertook a variety of roles fundamental in his professional development. Following the NHS Simon was able to hone in on his interest in orthopaedics, musculoskeletal outpatients and sports injuries and was lucky enough to work at the BMI Bath Clinic with some very highly skilled physiotherapists, surgeons and nursing staff who helped support his leaning and development. Alongside working at the clinic Simon also worked on weekends and evenings with a local rugby side providing pitch side physiotherapy and assessment and treatment sessions at training. In 2011 Simon decided to expand his experience and horizons and following a discussion with a friend who lived in Dubai he decided a move may be what he needed. Six weeks later Simon was all packed and moved to Dubai where he was offered a job as senior musculoskeletal physiotherapist working for a major hospital and its satellite clinics. 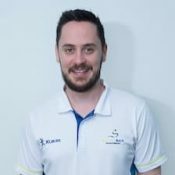 After only one year in the role a job opened up at Dubai Physiotherapy and Family Medicine Clinic and due to the excellent reputation of the company and the opportunities it presented Simon accepted this role and has remained working there as a senior physiotherapist for the past 3 years. Along side the clinic work at Dubai Physiotherapy Simon was also offered a job as the UAE National Rugby Team Physiotherapist a role which he accepted and continued for two seasons. He also undertook a brief role working with a springboard diving squad in Dubai and is often in attendance at many of the triathlons and marathons in Dubai as well as the annual Dubai Rugby 7’s tournament providing physiotherapy support. 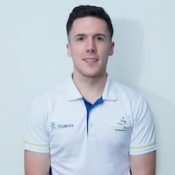 Alongside his clinic work and sports commitments Simon is also currently studying at Bath University (UK) for his MSc in Sports Physiotherapy. Simon enjoys travelling and being outdoors. He enjoys skiing, golf and diving and is currently trying to learn Spanish. With more than 10 years professional experience, Tim’s undergraduate was completed in rural Australia, where he undertook a Human Movement degree and majored in Exercise Science at Charles Sturt University in Bathurst. 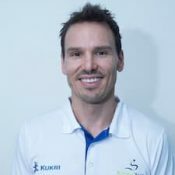 Following its completion in 2002, and with the desire for more study he then completed a Masters degree in Physiotherapy at the University of Sydney. In Tim’s first job, he enjoyed 4 years of learning from two of the best physiotherapists in Newcastle, Australia, which included both private practice and hospital experience. It was here that Tim also established the clinic’s hydrotherapy function and gained experience in the Mckenzie method of treating spinal pain and also pre and post natal Physiotherapy for pregnant mothers at Newcastle Private Hospital. Following this, Tim and his now wife headed to the West coast of Beautiful Ireland where he worked at the Baily Point Physiotherapy clinic and specialised in Musculoskeletal outpatients and dry needling. Moving to Dubai in 2008, Tim worked for Dubai Physiotherapy and Family Medicine for 6 years where he worked at events such as Dubai 7’s, Dubai Marathon and began treating PGA golfers. Following a rugby contract in Galway Ireland in 2007, Tim’s rugby career continued as he played for the Jebel Ali Dragons. In his time representing the UAE at both Fifteens and Sevens rugby, he was also extremely privileged to be named the first ever captain of the UAE, whilst at the annual Dubai Sevens tournament, a tournament that is a part of the Sevens World Series. His goal is to get his golf handicap into single digits in 2015, he also enjoys to travel and has recently taken up triathlons due to being a washed up rugby player! Joanne completed her BSc (Hons) in Physiotherapy in 2002 at the University of Hertfordshire, UK. She worked initially for the NHS completing basic rotations, including paediatrics, out patients and orthopaedics, and progressed to senior level specialising in musculoskeletal problems. Since 2006 she worked privately in the UK in both private clinics and for one of the largest private hospitals in the UK Nuffield Health. Her work in private clinics enabled her to treat patients of all ages, including paediatrics, and treat a variety of injuries, particularly spinal problems, shoulder, knee and biomechanical problems. She was also able to treat many local sports teams and athletes. While working for Nuffield Health she attained the positions of out-patient lead physiotherapist, regional clinical lead (South UK) and advanced musculoskeletal physiotherapist where she worked with complex cases, facilitating referral for diagnostics and consultant referral directly as required. She also taught courses on orthopaedic medicine at a nation-wide level to fellow physiotherapists. In 2011 Joanne completed her MSc in Orthopaedic Medicine at the University of Middlesex/Society of Orthopaedic Medicine, London. During this time, she took a particular interest in tendon problems and had her research into knee tendon problems was published in the medical journal ‘International Musculoskeletal Medicine’. She continues to take an interest in tendon problems and also enjoys treating all musculoskeletal injuries. Joanne has completed many other courses as a physiotherapist, including acupuncture, and is confident using this to treat musculoskeletal injuries as well as auricular to treat generic health problems. Joanne moved to Abu Dhabi in 2015 and enjoys living here with her husband and 2 young boys. She is a keen runner, fitting it in where possible around family life, and has developed a passion for yoga. She also enjoys walking her 2 dogs. 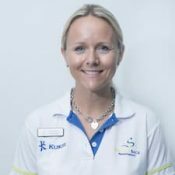 In 2015 Jennifer relocated to Abu Dhabi and spent her first 1 and half years as Head of Physiotherapy for the Shoulder and Upper Limb Clinic at Burjeel hospital, managing a diverse caseload of acute and chronic musculoskeletal injuries. Continuing her passion for working with the shoulder and orthopaedics she continued studies and work in the United States working with the Massachusetts General Hospital Boston Shoulder clinic in 2016. 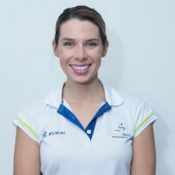 To support her physiotherapy treatment she uses her knowledge from Postural Restoration, Dry Needling, Exercise Therapy and Kinesiology Taping. Adam graduated from the University of Hertfordshire in 2013 with a first-class honors degree. Prior this Adam completed a two-year higher certificate in Physiology and Health Science in the Institute of Technology Carlow, graduating with a distinction. After graduating Adam joined the physiotherapy team at The Princess Alexandra Hospital in Harlow where he completed rotations in orthopedics, medical respiratory and musculoskeletal outpatients where he worked for approximately 14 months. Adam then joined the team at GoodsonParkbury Physiotherapy in December 2014 and since then Adam has been the lead physiotherapist in several GP surgeries across Hertfordshire. While in these clinics Adam was responsible for a large number of patients and their care. While working in the GP surgeries Adam built good working relationships with GP’s and consultants. Adam also spent some time working closely with Sports and Exercise Medicine Consultants (SEMs), with them referring their patients into his clinics. As well as running the GP clinics Adam was also an integral part of the Harpenden Physiotherapy private clinic. While working here Adam would assess and treat a wide variety of ailments from paediatrics to post-operative rehab clients. While working in the private clinic Adam developed a keen interest in the treatment of the adolescent knee and also in the treatment of tendon related injuries. While working in the private clinic Adam had the opportunity to work at national hockey tournaments and also with the Football Association (FA) providing training day cover for their Futsal teams. Adam has a keen interest in all sports related injuries, specifically football based and enjoys any post-operative rehabilitation. Adam is currently the physiotherapist for a professional kick-boxer/K1 fighter and has provided cover over the last three fight camps. Adam has an interest in anything sports related, previously playing football at county and University level receiving a sports scholarship while studying in Ireland. Adam also has a keen interest in Gaelic sports such as Gaelic football and hurling. In his spare time now Adam likes to train in the gym and also travel as often as possible. Michael graduated from Trinity University of Asia with a BSc Degree in Hotel Management. Following graduation Michael decided to travel overseas and started working in the hotel industry in Abu Dhabi. Beginning his career in food and beverages he worked his way up to front desk at a large hotel in the capital and continued working there for 3 years before joining BounceBack Physiotherapy. Michael is an intergral member of the team who has been with BounceBack physiotherapy since almost the beginning. If you have any questions or need an appointment Michael will be happy to help you. Michael enjoys playing basketball in his spare time and was a member of the varsity basketball team at university. You can still find Michael on the court on evenings and weekends both in Abu Dhabi and Dubai. If not playing basketball he enjoys riding his fixed gear bicycle (as its a bit more challenging). If you spot Michael wearing the same pair of shoes twice we would be surprised as he has more shoes / trainers than his girlfriend! 1st Floor Rotunda Building, Yas Marina, Yas Island, Abu Dhabi, PO Box 137052, UAE. Abu Dhabi, PO Box 137052.